This topic contains 32 replies, has 19 voices, and was last updated by Me. 6 days, 7 hours ago. I am aware that many people have written in this forum about their experiences in order to motivate others. I don’t think the forum needs one more motivational story from me. However, I would like to speak with you about the mindset during my preparation, perhaps some people might find it beneficial. WARNING! This writing may reference religious phrases; thus, for those that this is not their cup of tea, please exit. I am over 50 years of age and English Language is not my first language. I went to the wrong schools (i.e., not the BIG 4 Schools, rather to a Community College and a Third Tier State University). But I was a good student, nonetheless. My experience with Intermediate Account Classes was during summers, while I was doing my MBA in 2001 & 2002. Two summers, each consisting of 8 weeks –Intermediate I, and II plus other required classes. I did not learn anything significantly important during these summers; I was going through the motion just to get the credit. I never thought I would ever sit for a CPA exam; therefore, I was not interested in learning the ropes of accounting. In fact, I was never taught JE in the States Universities, nor did I ever learn JE in my University years. I knew the simple equation of A = L + E, but I could not tell you the reason this equation exited. In short, I could not tell you how some items in the Income Statements affected the Balance Sheet. Put it simply, I was an educated idiot. By 2013, I was already married and had two kids, and no stable job since I graduated from college. Then I was appointed to be a treasurer of a nonprofit organization because of my degree. This was not a paid position. I found out quickly that I would be doing everything that was accounting and/or reporting. It became abundantly clear in a short period of time that the rest of the Board Members did not understand the requirements governing the nonprofit activities; they depended on me to guide them. At this point, it hit me hard that I had to learn something very quickly, otherwise the nonprofit would collapse. I started by reading the basic principles of Bookkeeping, while at the same time guiding the Board on management matters. Once I understood the concept of double entry bookkeeping, I bought a QuickBooks desktop version for the NonProfit organizations. I read everything that I could get my hands on about how to use Qbk. I became semi-literate using the software. Finally, we had software to track donations and manage the donors’ relation. Next, I had to learn to file the Forms that would allow IRS to issue a “Determination Letter”. This Form is called 1023. This was by far my greatest achievement at the time. While doing all of these, I was also preparing payroll for 15 fulltime and part time staff, on a monthly basis, and filing the quarterly Form 941 as well. Initially, I did not have any clue about what to do, or how to do them, but with the help of internet, I was able to learn fast. With all the trouble that I went through and came out alive without making a fool of myself; I started thinking that perhaps I should crank this adventure up a little more. Then the crazy idea came to me…that perhaps I could sit for the CPA exam. I researched all the available CPA review courses in the market and I decided to choose Yeager’s FAR course. 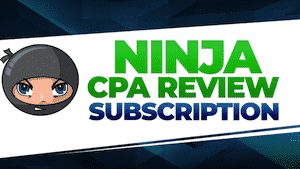 The reason for purchasing this course was not to study and sit for the CPA Exam, but rather to actually learn the Immediate Accounting that I did not learn earlier during my school years. It took me 1.5 years to study the materials cover to cover. After learning this material, I was still between jobs in my own personal life, but working very hard at the nonprofit; so at some point, I took time off from studying. When I was ready to get back into the game, this time as a CPA candidate, I bought the Gleim course premium package, “access until you pass”. Someone with my background would need this type of insurance policy. I studied FAR with Gleim for about one year, then sat for the exam and I passed with a 76. The countdown to finish the exam without losing a credit was now in effect. Next, because I did not have that much of a background in Audit (I only had an Audit course in the same Community College during a summer when I was taking the Intermediate Accounting and doing my MBA), so I knew I had to devote a significant amount of time studying Audit material for the CPA exam. I studied for it for 6 months, and I came out with a 75 score. Next, I prepped for REG, and I tried to beat the time table before AICPA switched to the 50/50 format. I studied for it for about 5 months. I failed it with a score of 72. In fact, it was a blessing that I failed it because the second time around, I really understood the material and I could speak on the subject with some intelligent. Next, I set aside REG and studied for BEC for 5 months, and I got 78 score. I came back to REG which I had failed. At this point, FAR was due to expire on January 31st of 2018. I studied for this behemoth called REG from August 6th 2017 until January 22nd of 2018. The result came out on March 8th and I had a score of 85. 1)	We are each blessed one way or another in our lives. Some people are blessed that they went to the right schools. Some were blessed that they had a mentor in their life. Some people were blessed with brain power. Some people were blessed with a great family. And, some people were blessed to get the right type of questions in their CPA exams (very few people I might say). Therefore, becoming a CPA or any other professional license is a blessing in a way. We have to accept the fact that we cannot all be Doctors, and neither can we all be CPAs. We have to look into our lives and appreciate those things with which we were blessed. 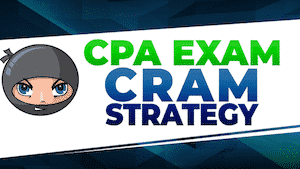 2)	For the MAJORITY of the CPA candidates, this exam process will be gruesome , sickening, and revolting. The journey is grueling. Therefore, when someone posts a comment on this forum that seems to indicate he/she finished the 4 parts exams in 6 months, good for them. But do not compare yourself to them. They probably went to the right schools, or they probably were blessed with brain power that allowed them to understand these materials better and faster than the average Joe. 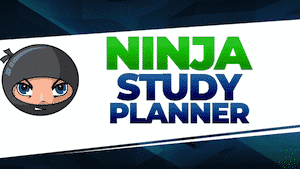 Do not fall for the concept of studying 150 hrs and then believed you were prepared. You have to be honest with yourself about your ability. Compare yourself to yourself, and not to someone else. Ask yourself, am I making any progress? Evaluate yourself to determine if you are constantly learning new material that you did not understand before. If you answer YES to these questions, then you have been blessed, and you could be a CPA. You just need to give the CPA Process the RESPECTS that it deserved….i.e., working the Process harder than anything that you have ever done in your life. 3)	I also believe that if you work very hard, God will not let you down. For the majority of the candidates this is an accurate statement. If you studied very hard, and you were able to comprehend and internalized the material, God will not let you down. But be warned!! Do not try to take a shortcut. Do not talk to yourself and convince yourself that you are studying harder, by comparing yourself to someone else who studied only for 3 weeks and passed. And, do not believe that the 3 weeks of studying by someone else should be a standard that is applicable to you too. Now, if you did everything correctly, and you still did not pass a single section, I believe that your blessings lie somewhere else and not in a CPA. It is possible that other blessings in your life are much more rewarding than being a CPA, which you have not yet reflected upon. I myself wanted to be a Computer Science Major. But I could never understand Visual Basics. I failed this class many times. I gave it everything that I got, but I could not understand it, so I moved on to Business Courses. 4)	You must appeal to a higher power greater than you, if you are a believer. To me, I appealed to Allah. I supplicated to Him a lot. I sought for His guidance and strength. I understood that if I were blessed and be amongst those to be titled as a CPA, that this favor given to me was a covenant or trust between He and I. I prayed to Him to guide me, so I could handle the covenant in a manner that was pleasing to Him. I understood that I could never appear arrogance and look down upon others for they were never given this precious gift. And, I must be humble when wearing my new title. But most importantly, I must use this blessing, trust, or gift for a good cause also…such as giving back to the community. @tooold or rather TooYoung: Hats off to you for passing all 4 sections! Most of all, your drive to learn the basics of Accounting & accomplish what you did at the non-profit organization is commendable. I am 54 years young & still very much in this CPA journey in spite of having life coming in the way & other reasons. I also took all my Accounting classes online at a community college. Actually, I was the class tutor for a Financial Accounting class that I was taking at the same time. This was my very first exposure to Accounting ever in my life at the age of 45. Till this day, I am not sure how I pulled that off successfully. I understand that I need to change my approach & tackle the CPA exam with the same confidence & positive attitude I had when I started as an Accounting student. Your story is very much motivating & inspiring & gives me lot of hope. Thank you so much for sharing! You have a wonderful attitude – the world needs more people like you. I applaud you for all of your hard work, resourcefulness, and determination! Congratulations on making it through this journey!!!! Great post! You motivate me. Congrats on your accomplishments. This is totally doable. Wow! Being able to tutor Financial Accounting must have been a great achievement, considering that you did not have background in the subject. Show these young men/women in this forum that we might be old, but we refused to be put out in a pasture 😀. Thank you both for your kind words. Stay focus and everything will be alright. I am 51, and still very much in the game of finishing what I started over three (3) decades ago. This time, I added more schooling, which is not really required in my case but doing it anyway. I recently signed up for 2-3years of full-time schooling, programs that will help me and my family, even during my retirement years. Also, I would like to make all my Accounting/Finance/Tax/CPA Exam Review Providers/Professors proud! LOL! Thank you …. this helps me so much! Thank you this help so much !! I am almost 65. I was a VP Admin snd and accounting for16 years.I got comfortable with my position and salary. However the business sold and they closed the office in my area. I did not have a degree at the time but I was blessed with a Controller position. I was 58 at the time. I did however, get my accounting degree online with Liberty University while working fulltime. Well in Nov.I was let go, along with 7 others because business had gone down 60% in one year. I just took another job, actually feeling like I'm going backwards. I even turned down a job as a Controller because they expected me to be available at anytime. It was a hotel. The job that I took is with a large company with a very large accounting department. I'm the GL Supervisor. 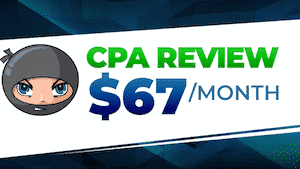 I had been thinking about getting my CPA, but wonder if it is really worth . I had actually started my own accounting business in 2011 but haven't done a whole lot with it because of working and school. It will be long time before I will be able to retire. Has anyone heard of anyone this age taking the exam? This is very inspiring. Thank you for sharing. @Jeanette, I am 58 years old. I went back to school in the evenings at age 55. Finished the program in May of 2017. I have passed BEC and AUD. You can do this!! Your real-life experience will help you understand concepts that the 20-somethings struggle with. We are rooting for you.! @TooYoung: Feels so wrong to address you as TooOld. Thank you for your kind words & encouragement. This is your post & I didn't mean to take credit by blowing my trumpet. My point was that I started out strong not even thinking about whether I can do it. Now I feel so overwhelmed with life coming in the way & self doubts setting in. But I refuse to give up. @Cynthia: Wow, I say! And I thought I was the oldest one hanging on to this forum. Kudos to you for your drive & motivation! Congrats for passing BEC & AUD! You have just proved that age is just a number. @Jeanette: There you go! Cynthia has provided an answer to your question. Let's rock & pass these exams! @MrsEarlaRiopel: What enthusiasm! I am getting so motivated all over again reading all your posts. Let's make everyone proud of our success in getting degrees &/or passing all 4 sections! We can do it! I am very proud of you that you have already passed Audit. Apply the same determination that allowed to pass Audit to the rest of the remaining parts, and you will see nothing but great success in your journey. Go get them!!!! Yes, you can do this. As @Cynthia alluded in her post above, I strongly believe in the points she made. From my experience, I did not believe I could have passed the exams if I had taken them in my early years. My life experiences contributed to my better understanding of the exam topics. In addition, I actually found myself to be sharper, and more alert (intelligence wise) in my 50s than I was in my 20s,30s,and 40s. This is the sharpest I have ever been in my entire life. Please, don't allow the age factor to whisper into your mind; it is nothing but a distraction. Good luck to you, and we will be cheering for you along the way. Thank you all for posting. I am 50 years old. I finished my MAFM in 2013 and paid for all 4 exams in 1 NTS. The over achiever in me didn't see this as a problem. My mother came down with pneumonia and after a 4 month battle, didn't make it. My first exam was 7/13 REG – 68. Mom passed OCT 16. I had been trying to study while still caring for her. After she passed, I was running out of time, so I scheduled my 3 remaining exams to be taken within a 4 week period. AUD – 47, BEC – 60, and a week later, FAR was a dismal 30 due to walking in with zero studying. After she passed, my train derailed for awhile. I moved from Atl to ABQ to Louisiana to Kansas and now back to Atlanta where I started. It has been almost 5 years. I finally feel like I can pick up where I left off. I am going for FAR first this time and will test May 18. I enjoy the community here. "Fall down 7 times...Get up 8! I found my comrades. Y’all just gave me the confidence that we can finish this journey. @tooold your tenacity is admirable. I’m only a couple months shy of the big 50. So I can totally relate. I’m hoping I can get this done before then. I put FAR last because I knew it’s going to be a beast. If I took it first and failed, I know for certain I will quit right then there. I need the confidence to start with, so I can tackle FAR with a stronger determination. And now I’m on the clock! Got to get this done before my other parts expire. @CPATooleTime: Sorry about your Mom. It's great that you are continuing your CPA journey after so many changes in your life. All the best for FAR! @tncpa2018: With 3 sections passed, I am sure you will pass FAR too. All the best for FAR! Hope there is a way for us all to get together so we can interact at a much closer level studying, sharing, venting & what not! @tooold – Now THIS is the kind of post I like seeing on here. My amazement is not so much over your passing the CPA exams, but what you went through in your nonprofit accounting job – I hope they eventually started paying you! Not many accountants work in nonprofit, but it's always been an area that's interested me and I wouldn't mind working in one sometime. So long as they paid me what staff accountants usually get for a salary. Actually many non-profits have big budgets…it's just that usually the donation dollars and other sources of “money coming in” go towards paying the employees and not to the actual cause. I'm 42 this year. Not young. I started my accounting career only 3-4 years ago, after 10 years in the financial services industry, and another career even before that! 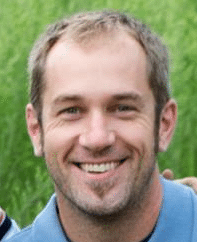 I got myself back into school at age 34 – took Accounting 1 and 2 (the lowest of the accounting courses) at a community college, along with Quickbooks. Also took Intermediate at community college, and eventually earned a second bachelor's degree in accounting. Like you, I did not even consider the CPA exam until later – for me, it was in about the last year or so of my 4 years of studies. By then I was taking advanced accounting and auditing and other courses and the instructors were teaching everything to us, with the assumption that we were all going to be sitting for the CPA exam. So, I just fell into it. Let's face it – to be “older” and doing these exams is not easy, like you say. It can be downright awful, coming home from work at night and putting in 3 hours of studies. When you're in your 20s, you don't think about it, you just do it, and because your brain has far fewer miles on it, it's far easier. And yes, comparing yourself against a 26 year old who works at B4 who knocks all 4 out during busy season is not even remotely valid. It definitely took me awhile to realize that “No, Leon, you are not a dumbass. You're just in a different boat.” I can't even say this forum really helped with that. If anything, it made it worse. But, eventually – after not being on here for many months – I figured it out. But, this forum is good in other ways. Thank you for sharing your wonderful experience. I hope it reaches other people who are in the “Over 40” crowd! I am sorry that you had to go through such a difficult emotional journey. For those of us that did not experience this type of hardship, we can only speculate how difficult this has been on you. Stay strong! As for your earlier attempts on the exam, I will advise you to block out whatever your prior experience might be that will negatively impact your current ability to prep. Talk to yourself that the earlier attempts were just a trial run and they did not represent whom you are when you operate on a full capacity. With one section left for you to go, my prayers to you, so that this long journey will come to a successful ending for you. You and I have very similar background. You got it right when you said, no one is dumb; it is only that our different life experiences either help to make some tasks easier for us, or the path to achieving those goals become challenging. Those of us with some challenges, our number task is to make up for the lost time or the lack of adequate early preparation. Once we bring ourselves to par with others, then the journey to achieving the same goal becomes a little bit bearable. Needed this today! 52 this year and really want to get my CPA. Have to get my experience verified soon as both partners I worked for are in their late 50's-60's. Hopefully they will sign off (I did quit in tax season – February – but gave a month's notice). Does anyone know if they are they required to sign off in NYS as long as the requirements were met? Thanks for the motivation, guys and gals. Your poor planning is not my emergency. My poor planning is! I don't think they are required by law, but if you asked for it and they refused to sign off, I would suggest that you report the matter to your state's Board of Accountancy. As for you wanting to do this at 52, yes you can!! I am so motivated now, thanks for sharing your journey. May Allah continue to bless and guide you inshallah. @tooold: I work in corp accounting and moonlight during tax season for another company. I know this has been asked thousands of times before, but do you think I should start with FAR as well? Or REG on the chance my 25+ years of tax experience will help? TIA! Although questions on the subject matter might have been asked too many times, the answers are not always clear cut. The answer that is correct depends on the uniqueness of the individual. For some candidates, they need immediate gratification in order to keep the momentum going; so they start with a section that he/she perceived to be less challenging (because of the individual's life experiences). For others, the motivation is found by first knocking out the most challenging section of the exam to them. I fall into the latter category. I knew I had a very good chance of completing all four sections, if I could ever pass FAR. Otherwise, I would keep trying to pass FAR without the fear of losing any credit yet. The danger with starting with the easy section first is that, should you run into trouble passing a difficult section, your clock to pass it does not stop. Remember, some people may have to sit for a difficult section multiple times before passing…hence, they run out of time. This is one of the reasons some candidates lose credits on the sections that they had passed earlier. As you can see, there is no one correct way of doing it. But I would assume that the safer way to protect your hard earned credits is to start with the most difficult part. Thank you for your duaa. InshaAllah, stay focus, cut out major distractions in your life, and make duaa for strength, and you will see success beyond your imagination. Let this be the thing that occupy your thinking, day and night. OMG, I feel sooo inspired with all the stories above. I am 46 and have been working as a Financial Analyst since 9 years. I have been out of school for about 10 years. I have an MBA/ACC. I started studying seriously for CPA using Gleim in 2016. I passed BEC on the first try and subsequently passed REG & AUD at 2 tries each. I have already failed FAR twice. Lately I have been feeling really depressed that what am I doing struggling with CPA at this age. But after the stories above, my doubts have cleared. I am feeling extremely motivated. A biiiiig shout out to all my cpa buddies above. Thank you so much for ur motivational posts. Me too, I am over 50+ and being a CPA used to be my dream. Unfortunately, with all family responsibilities in life, never able to study for it. Now, I am free (almost free), I think I should put this one on my bucket list. Thank you everyone for the encouragement. I finally became a CPA 1 year ago at age 54! I went back to school and finished a BS in 2011. I started as an Auditor with State Government, started a Masters program and also started the CPA…long story short, I finished the Masters at the end of 2015, the CPA end of 2017, licensed February of 2018. It was a 5 year journey for me…1 pass, 1 expired and many retakes…DO NOT GIVE UP! Was it worth it? Yes! It was a personal goal/challenge. Did it pay off? Yes! I left State Government went into Private with a $15K bump in pay. Best to all of you!